Your roof is your family and home’s first line of defense against the elements, and is one of your home’s most costly components, which means it’s absolutely vital to give it the best care possible. One way to ensure that it performs well and reaches its full longevity is collaborating with a skilled, experienced and dependable local roofing contractor. Here are a few ways that you can form a beneficial collaboration with a Newnan, Georgia roofing professional. 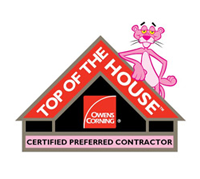 When you’re searching for roofers in Newnan, Georgia, look for a company that prioritizes customer satisfaction and workmanship excellence above all else. 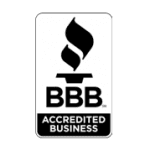 You can investigate each of these qualities by listening to previous customers’ testimonials, checking a roofing contractor’s track record and rating with Better Business Bureau (BBB), and researching the company’s online reviews. Their certifications also tells you a lot about a contractor’s reliability, stability, and workmanship quality, as only the best in the industry can qualify for certain certifications. The key to the perfect collaboration is two-way communication. This means you should ensure the company you choose is a knowledgeable contractor that is upfront and easy to talk to about key considerations such as specific needs and your budget. When it comes to choosing shingles, you can take advantage of your roofer’s years of expertise and ask for advice on the many different options out there, in order to match your home’s architectural style as well as your budget. You can also ask about any extended warranties the company offers. Once the roofing work has begun, your contractor should stay in constant contact and work closely with you in order to keep the project stress-free from beginning to end. Once your roof has been properly repaired, or your new roof system has been installed, it is essential to keep up with regular maintenance in order to avoid the headaches of preventable leaks or damage as time goes by. Your roofing contractor will likely recommend a yearly roof inspection in order to catch any emerging issues early on in their process so they can be addressed before much larger problems develop. 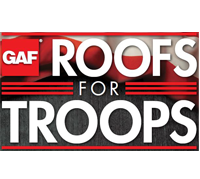 By forming a collaborative relationship with a local Newnan, Georgia roofer you trust, you’ll also receive peace of mind if/when a roofing emergency (such as storm damage) occurs and you need help in a hurry. 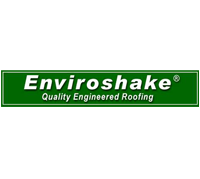 At Eagle Watch Roofing, we’ve garnered a renowned reputation for being one of the most dependable roofers in Newnan, Georgia. This is due to our commitment to high-quality craftsmanship and customer service. If the roof on your Newnan, Georgia home needs repairs, or you’re considering a roof replacement, contact Eagle Watch Roofing today for trustworthy service and expert advice.